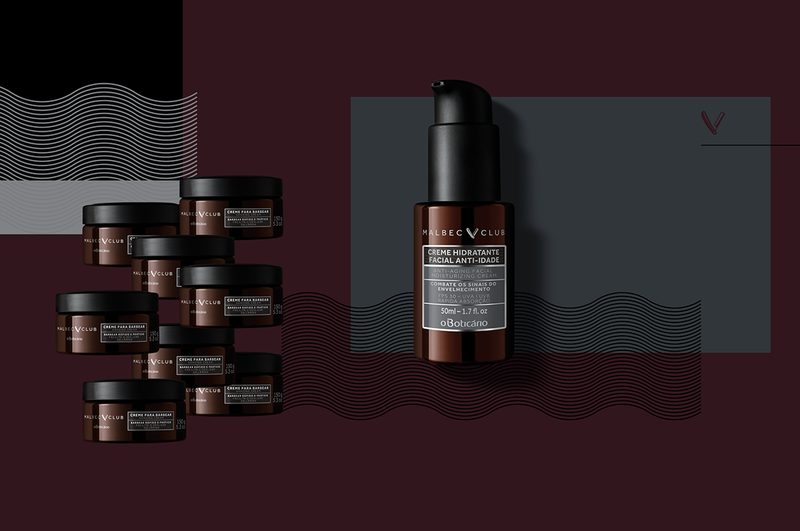 The Boticário Group is one of the largest beauty franchises in the world, having close to 4,000 points of sale, in 1,750 cities. They also offer their products via e-commerce, through direct sales and in partnership with other major retailers. 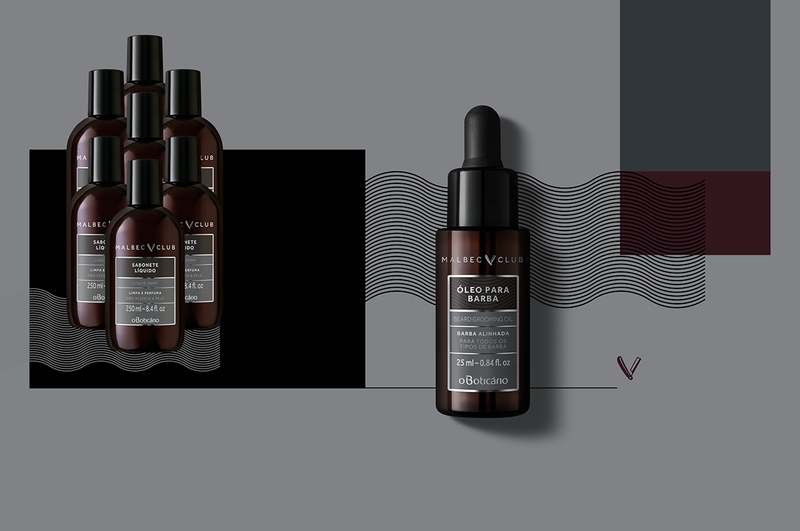 Their products are present in 8 countries. 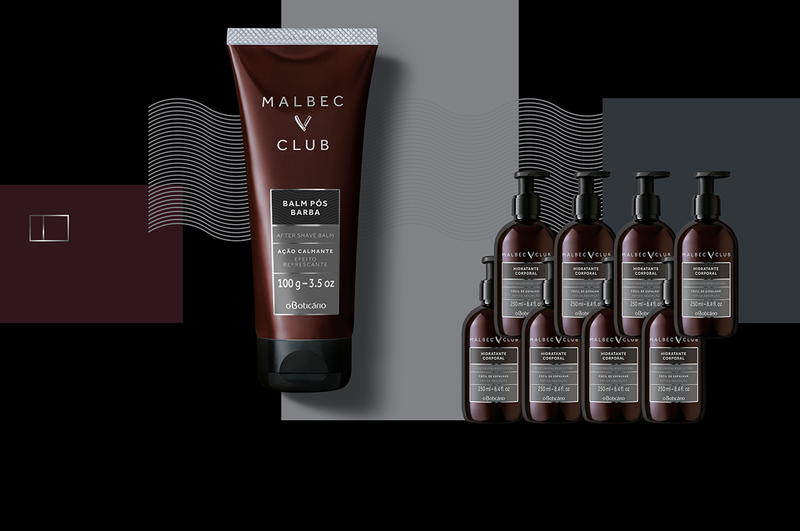 Malbec Club is O Boticário’s new men’s care line, with several new products launched in order to provide a complete brand for men. 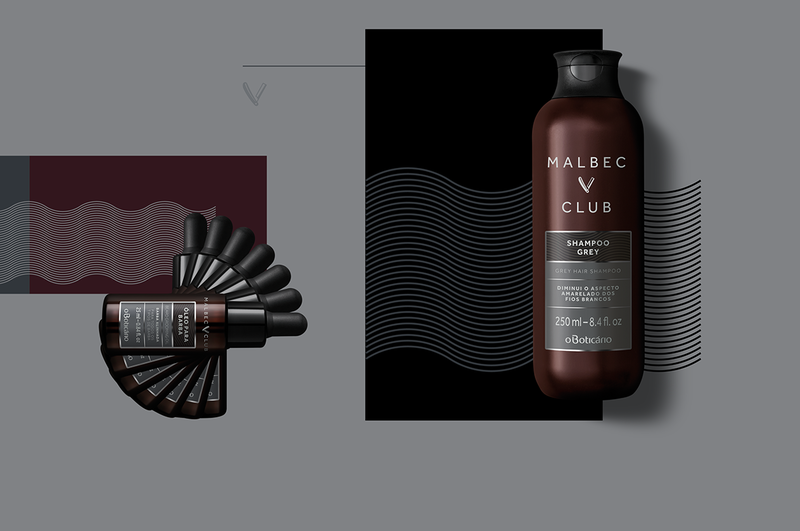 In a project with several pre-established guidelines, we were invited to develop the packaging concept for the new Malbec grooming line, from naming to labels. As the official font for all brand lines at the time of development, we followed the entire creation process using the Effra font for all materials. 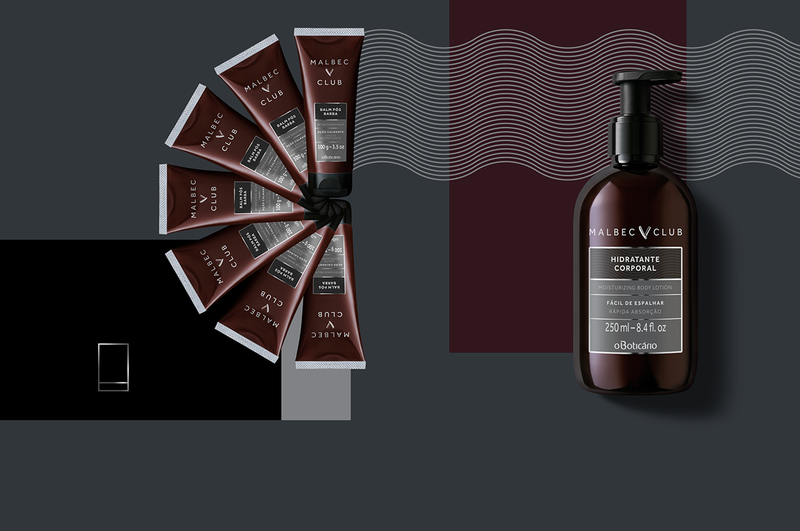 The razor present in the brand and other communication pieces, brings the idea of a handmade care, coming directly from the most traditional barber shops, in a package with classic references but with a current appeal and unlike anything that the brand had worked before. The Boticário Group is one of the largest beauty franchises in the world, having close to 4,000 points of sale, in 1,750 cities. They also offer their products via e-commerce, through direct sales and in partnership with other major retailers. Their products are present in 8 countries. 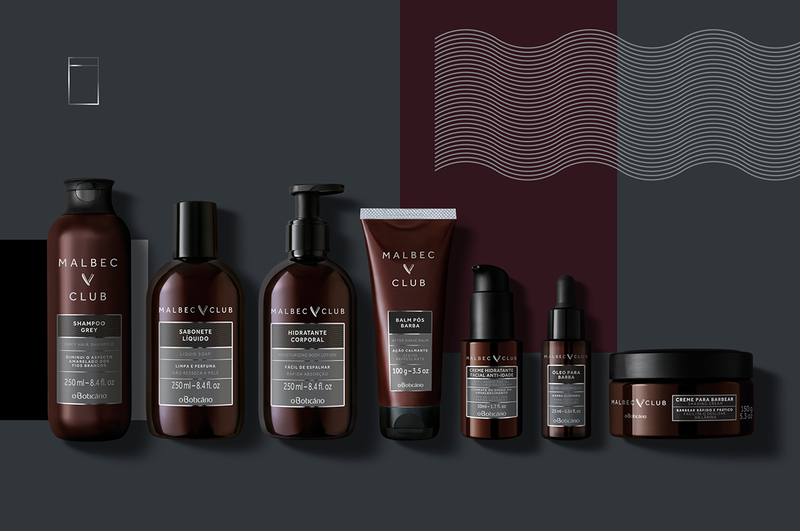 Malbec Club is O Boticário’s new men’s care line, with several new products launched in order to provide a complete brand for men. 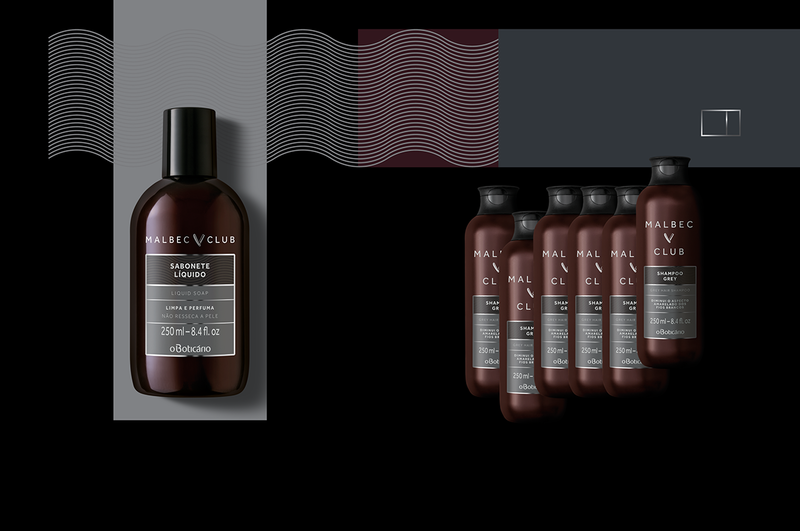 In a project with several pre-established guidelines, we were invited to develop the packaging concept for the new Malbec grooming line, from naming to labels. As the official font for all brand lines at the time of development, we followed the entire creation process using the Effra font for all materials. 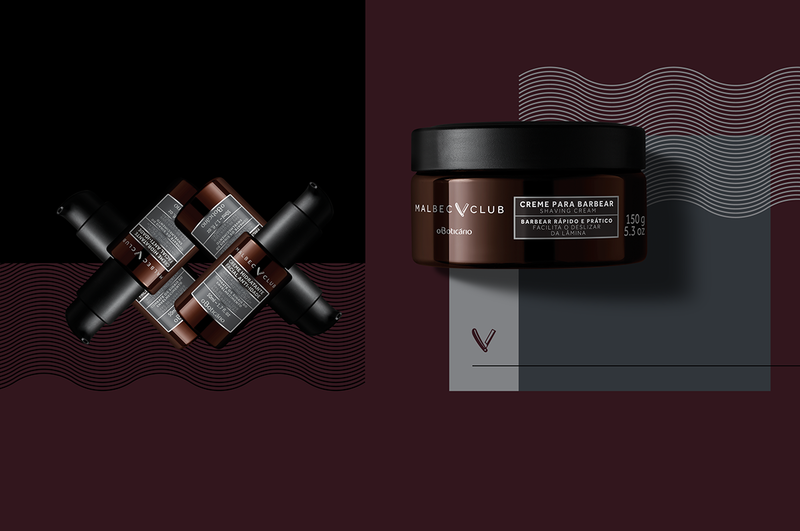 The razor present in the brand and other communication pieces, brings the idea of a handmade care, coming directly from the most traditional barber shops, in a package with classic references but with a current appeal and unlike anything that the brand had worked before.